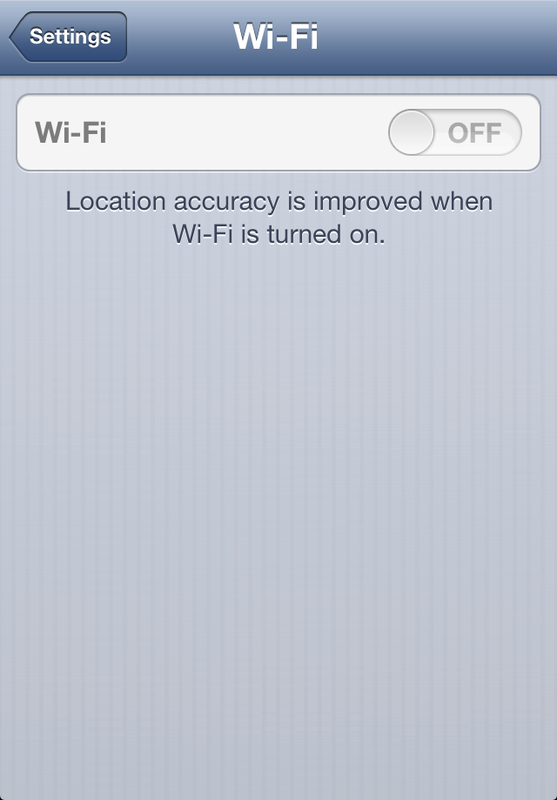 Mckenzie Lacroix: iOS 6.1.3 Disable Your iPhone's Wifi?? (Got Mine Fixed) UPDATED!! 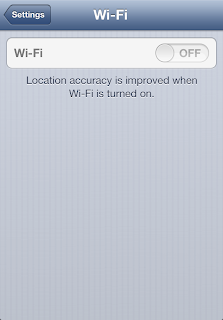 iOS 6.1.3 Disable Your iPhone's Wifi?? (Got Mine Fixed) UPDATED!! Over the weekend I removed my phone's case because it causes the flash to make pictures appear hazy. I was with fam and having a good time; recording memories. So the case had to go. Unfortunately, while my phone was naked, it took a lil fall and immediately my power/sleep button (at the top right of the phone) stopped responding to the normal tap that it takes to wake the phone up. It took a lot of pressure to get a response. I went an entire day with my phone jacked up like that. I was hoping that it would somehow correct itself, but that never happened. So, I went to the Apple store and got a replacement phone. Everything was all G till I decided to upgrade the device to iOS 6.1.3, (which I had no problems with at all when I upgraded my original iPhone). Using Nordstrom's wifi, I upgraded. Once my phone turned back on, MY WIFI ABILITY WAS GONE!!! Under settings, Wifi was in the "Off" position and greyed out. At the time I thought it would just correct itself. (Sometimes I'm patient like that. Usually when I just don't feel like messing with an issue at the time that it arises. lol) But by the time I went to sleep, the issue still remained and I'd reset the phone to factory setting a few times as well as the network settings alone. Nothing worked. I woke up this morning messing around with the phone more and still could not figure out what to do to get my Wifi ability back. So, I contacted an Apple rep via chat on the Apple.com site. I told the rep of all what I'd already done and he suggested that I try resetting the Network Settings (once again). I did. And when the phone powered on again, I was able to manipulate the Wifi settings!!! Now, I'm NOT questioning it. I'm truly just happy that I can now connect to wifi. But, I think that maybe...Somehow... the rep must've sent some sort of something to my phone. I don't know what, but SOMETHING... A little remote zappy zap?? So, if you are running into issues with your phone after the update and nothing seems to correct the issue, contact Apple for assistance. They have super iPowers. I chatted with another Apple rep and the only solution was to return the device for another. This rep told me that some kind of chip must not have been right when the phone left the factory and the update caused that to be known...????? What in the flyin' hell?!! Labels: And Now I'm Vexed, Electronics, Fail, iPhone, Oh WOW Moments, Seriously? ?